The most famous fighting robot toy of all time has to be the irrepressible Rock ’em Sock ’em Robots, known as ‘Raving Bonkers’ in the U.K. this simple battling robot game proved immensely popular during the 1960’s and early 70’s. 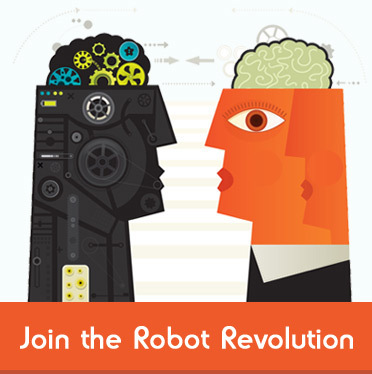 However, robot toy technology has improved substantially over the intervening years and modern fighting robots feature advanced electronics with impressive remote controllers, not quite at the level of the robot combatants featured in the movie ‘Real Steel’ but just as much fun and far more practical for the home arena. Battroborgs are miniature battling robots controlled by a human operator armed with a nunchuck controller, similar to that found on the Nintendo Wii game console. Operators can throw left and right hooks, as well as combo’s and speciality moves, which the toy robot fighters will replicate in the arena, making for skilful and absorbing game play. Points are scored by registering direct hits on the opposition robots ‘neuro cranial optic visor’, or in less techy speak, ‘by smacking it in the head’, fighters are alerted to damage by sound effects and illumination of the ‘critical impact sensor light’, which will change from green, indicating no damage, through to flashing red which signifies a knock-out blow. The original Battroborgs are rough, mean and ruthless boxing robots, their objective being to pummel their robotic opponent into submission with destructive hooks and jabs. There are over 20 Battroborg boxers to collect, including Clopto, Cobalt, Colonel Clubber, Dent and the evil Scaldor, each one armed with an original speciality move. The Battroborg Warriors take the initial concept of bare knuckle fighting robots up a level by adding weaponry into the mayhem. 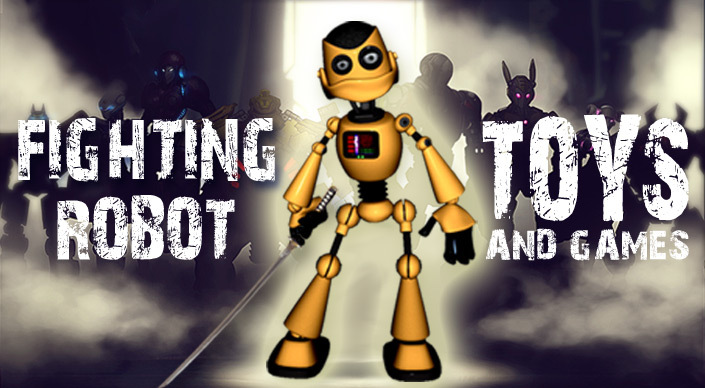 There are several robot warriors to choose from including Samurai, Ninja, Roman, Knight and Viking, each armed to the teeth with a lethal range of interchangeable weapons such as samurai swords, ninja kamas, broadswords and battle axes. The nunchuk two handed controller used by the original Battroborgs has also been replaced by a single handed katana styled controller, which allows for easier cut, thrust and chopping motions. 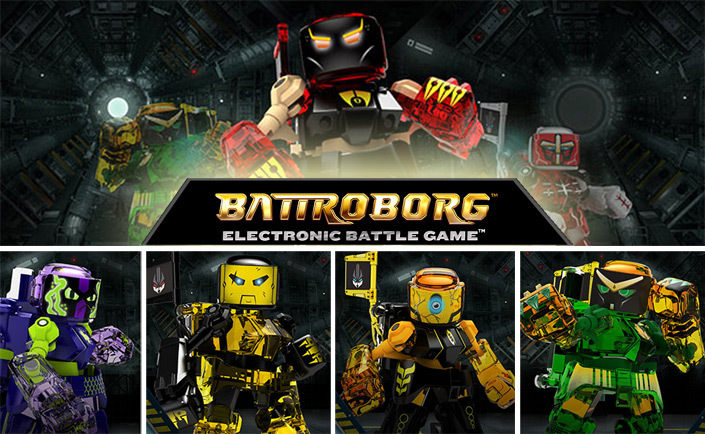 Check out the complete range of Battroborg figures, play sets and accessories. Spin Master is a name that has become synonymous with its Zoomer range of robotic pets. However, the Air Hogs division of this robot toy company has strayed away from the cute and cuddly market and unleashed a set of battling robots into the fray. Smash Bots are chunky, durable, remote controlled fighting robots that feature a rather unique combat method, instead of throwing traditional boxing style punches at their opponent the Smash Bots when in position, are capable of going into turbo mode, a frenzied tornado style spinning action that unleashes a flurry of hits and blows on anything foolish enough to come within striking distance. 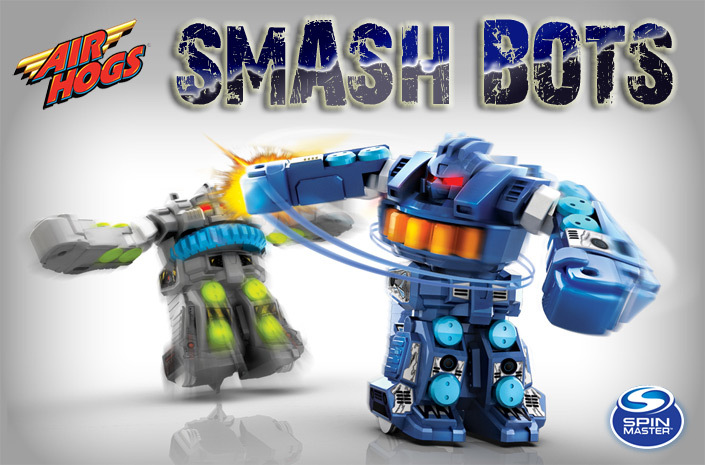 Sold as a pack of two battling robots complete with controllers, a play mat and a set of interchangeable weaponry, Smash Bots are ready to go into battle straight out of the box, just add batteries … and children aged between 6 and 11. Looking like something that has just crawled out of a science fiction horror movie, the Hex Bug battling spiders make for absorbing two player futuristic game play. 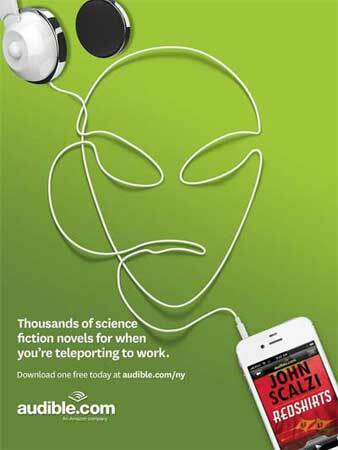 Crammed with high-tech components that power the impressive voice and sound effects, not to mention the sophisticated infra-red laser beam weaponry that these scuttling little beasties use to destroy their prey. 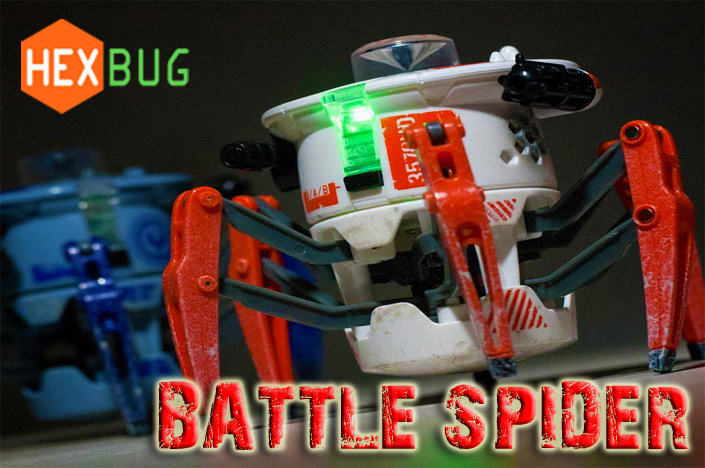 Game play involves stalking your enemy and firing infra-red beams of light at your opponents spider, every hit will cause him to recoil and be temporarily stunned, score ten hits and your foe will be defeated, allowing you and your robot spider army to take over the world, muuhaahaaa.